Over time, your face naturally begins to lose volume, which can result in a tired, sunken appearance. JUVÉDERM® is an injectable filler that can restore lost volume in the lips and cheeks and improve the appearance of fine lines and wrinkles around the mouth and nose. Our doctors at Southwest Eye Care and Laser in Bakersfield, CA, work with an in-house cosmetologist to administer JUVÉDERM safely and effectively. If you are looking for smoother, more youthful-looking skin, you can trust us to provide beautiful, natural-looking results. JUVÉDERM can correct nasolabial folds, lip lines, and marionette lines. Approved by the Food and Drug Administration, JUVÉDERM is an injectable dermal filler that is designed to smooth fine lines and wrinkles. It is composed of hyaluronic acid (HA), a naturally occurring substance that acts as a humectant. HA retains moisture to keep the skin plump and hydrated. Though your body produces less hyaluronic acid over time, JUVÉDERM can replenish your skin and reverse the signs of aging. JUVÉDERM is ideal for men and women with facial lines, wrinkles, folds, and creases. Women who who are pregnant or nursing should not undergo treatment. You may also wish to consider alternative treatments if you bruise easily. When undergoing any form of cosmetic enhancement, it is important that you maintain realistic expectations. Though fillers can have noticeable results, they cannot address more widespread issues like sagging skin. During your appointment, one of our doctors and our in-house cosmetologist will review your goals for treatment and design a plan suited to your needs. There are different strengths and types of JUVÉDERM available, and we will recommend the best option for you. Our doctors at Southwest Eye Care and Laser work with an in-house cosmetologist to administer JUVÉDERM safely and effectively. On the day of your procedure, we will begin by applying a topical numbing cream to the area for your comfort. We will then carefully administer JUVÉDERM in each designated treatment area, taking care to ensure the most natural-looking results. Each session is about 30 minutes long, though the actual length of your procedure will depend on the extent of your concerns. 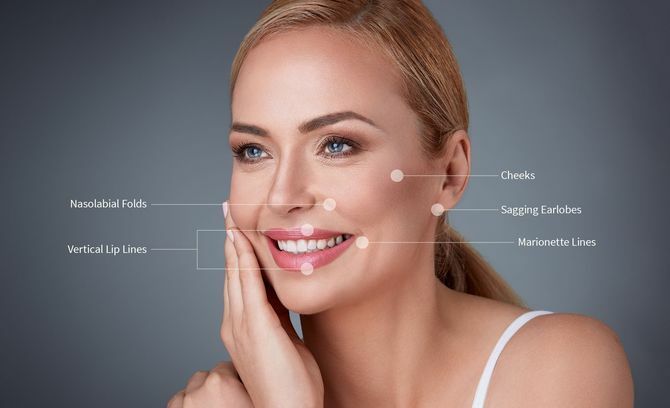 JUVÉDERM is a minimally invasive, non-surgical treatment, and most patients are ready to return to their daily routine immediately after the procedure. We can recommend a skin care regimen to protect the health and appearance of your skin. With proper care, most patients can enjoy the results of their treatment for up to nine months. Keep in mind that JUVÉDERM will be absorbed by your body over time. You may need follow-up treatments every few months to maintain your new look. A single JUVÉDERM session can help you achieve a more youthful glow without surgery or an extensive recovery. Under the supervision of our doctors and the guidance of a cosmetologist, you can enjoy beautiful results and feel comfortable in our care. To schedule a consultation, call our office at (661) 393-2331 or send us a message online.